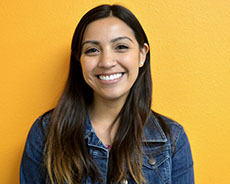 Margarita earned a BA in Psychology from San Jose State University and a MA in Counseling Psychology from Santa Clara University with an emphasis in Latino Counseling. Margarita is registered with the Board of Behavioral Sciences as an Associate Marriage and Family Therapist. She has experience working with diverse populations, children, adolescents, young adults and families.